Ontario’s Lake Country is home to some of the finest Ontario resorts. Come and be pampered with all of the wonderful amenities these resorts offer including, outdoor adventure, pools, waterfront, meal plans, kids programs, spas, there is something for everyone. 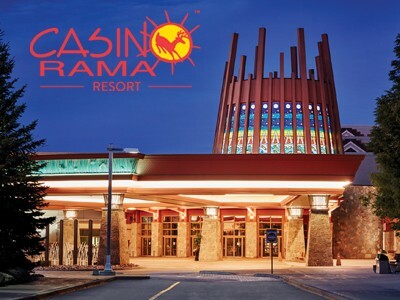 It will be hard to decide between Casino Rama , Carriage Ridge Resort and Carriage Hills Resort, Fern Resort, Horseshoe Resort and Rawley Resort to name a few. Take pleasure in a deluxe resort experience only one hour north of Toronto! The 118-year-old Bayview Wildwood Resort is one of the closest lakeside resorts to Toronto. Families have come for three generations to relax in spacious 1 to 5 bedroom cottages and enjoy children’s programs, safe sandy beaches, the convenience of an optional all-inclusive meal plan, indoor and outdoor pools, boating, tennis, hiking and more! Bayview Wildwood is not just for families. Couples enjoy romantic lakeview suites with fireplaces, superb dining, spa services, and the opportunity to pursue a variety of recreational pursuits. The resort is the ideal spot for family gatherings and reunions, intimate lakeside weddings and social group getaways. Value priced packages are available year round.